Is Medical Marijuana (Cannabis) Safer than Tobacco Cigarettes? Is Cannabis Safer than Tobacco? Comparisons between cannabis and tobacco are inevitable. After all, both are plants, both can be smoked, both produce intoxicating effects, both are tightly regulated, and both are used by millions of people. How different could they really be? In fact, the difference between tobacco and medical marijuana couldn’t be greater. Don’t let external similarities (or political platforms) mislead you: Cannabis is considerably safer than tobacco. Are Cannabis Joints Less Harmful than Tobacco Cigarettes? Cannabis cigarettes (“joints”) and tobacco cigarettes look vaguely similar from the outside. But on the inside of your body, they’re causing very different processes to occur. Traditional cigarettes are made from tobacco, a plant native to North and South America. After the plants have been harvested, tobacco farmers “cure” (dry) the leaves for use in an array of products, including chewing tobacco, and, as we’ll focus on here, tobacco cigarettes (and cigars). Most species of tobacco belong to a genus called Nicotiana, which gives us the word “nicotine.” Depending on the plant species, nicotine might comprise anywhere from about 0.6% to 3% of the tobacco plant’s dry weight. Nicotine is a stimulant, which means it increases (stimulates) physiological functions. For example, nicotine can speed up your metabolism, increase your heart rate, and elevate your blood pressure. Being a stimulant doesn’t necessarily make a drug dangerous. (If it did, the caffeine in your morning coffee would likely be a scheduled substance.) What’s dangerous about nicotine is that, in addition to being highly addictive – “as addictive as cocaine or heroin,” according to former U.S. Surgeon General Regina Benjamin – it’s also known to have adverse effects on virtually every system of the body, including the cardiovascular system (like the heart), the excretory system (like the kidneys), and, of course, the respiratory system (like the lungs). While adverse effects are all but guaranteed with prolonged tobacco use, they are extremely rare in Cannabis users, including self-described “heavy” or “daily” users. In part, that is because Cannabis – in which the active ingredients are cannabinoids, flavonoids, and terpenes – do not contain nicotine. 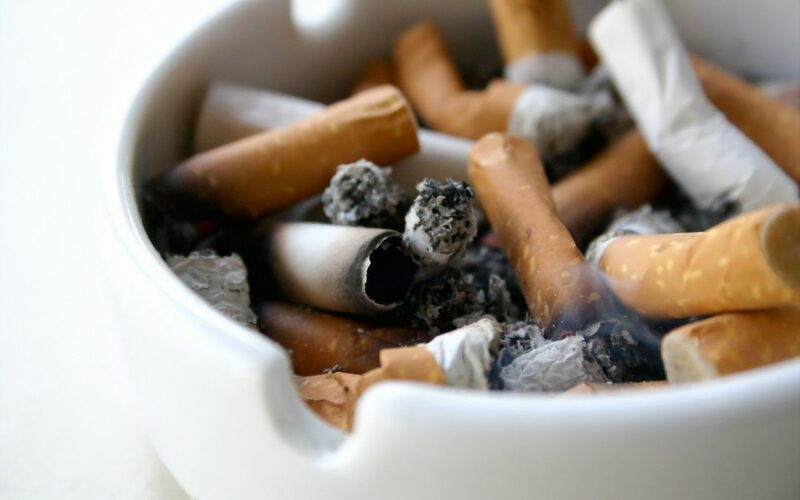 Cigarettes also contain tobacco-specific nitrosamines, or TSNAs. Nitrosamines are chemical compounds that exist in dozens of foods and drinks you consume every day, including beer, bacon, and certain types of fish and cheese. While some nitrosamines are harmless, most of them are carcinogenic, which means they increase the risk of developing cancer. As the name should make clear, tobacco-specific nitrosamines, which develop during the curing process, are unique to tobacco cigarettes. In addition to all the man-made ingredients added to tobacco cigarettes, the tobacco itself is harmful. 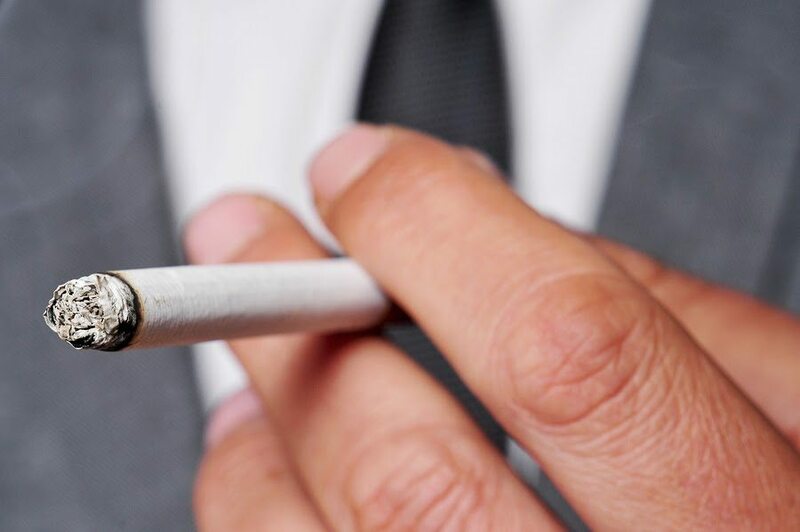 The act of lighting a cigarette – in other words, burning tobacco – creates a nasty byproduct you’re already familiar with: black, sticky tar. Burning Cannabis can also produce tar, which is why patients are urged to avoid combustion and vaporize their Cannabis instead. Vaporization heats the Cannabis to a temperature that is hot enough to release cannabinoids like THC (Tetrahydrocannabinol), but not hot enough to result in the combustion process that creates tar. A study published in Harm Reduction Journal in 2007 found that “the respiratory effects of [C]annabis can decrease with the use of a vaporizer. The data reveal that respiratory symptoms like cough, phlegm, and tightness in the chest increase with cigarette use and [C]annabis use, but are less severe among users of a vaporizer.” In short, vaporization is the safest method of using medical marijuana. No substance is 100% harmless. Even water can be dangerous when ingested in great enough quantities. While Cannabis cannot be called absolutely safe, and indeed should be avoided by individuals who have or are predisposed toward certain types of cardiovascular problems, its use has not resulted in millions of deaths and cancer cases, in stark contrast to tobacco and nicotine. In fact, Cannabis has never been directly responsible for a death, because the amount necessary to overdose is not physically possible to ingest. In addition to being much safer than tobacco, Cannabis also offers an array of health benefits that tobacco cigarettes do not. 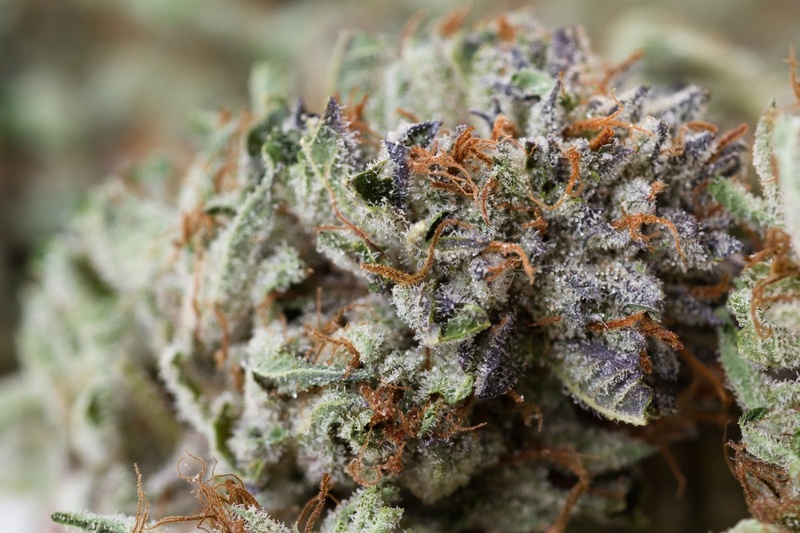 To provide a few examples of marijuana’s health benefits, Cannabis has been shown to alleviate pain, reduce nausea, elevate mood, and even contribute to maintaining a healthy weight. If you live in Massachusetts and have been diagnosed with a serious health condition, such as multiple sclerosis, Parkinson’s disease, hepatitis C, or Crohn’s disease, medical Cannabis may offer fast-acting and gentle relief from your symptoms, with mild and minimal side effects. To learn more about obtaining medical Cannabis for an illness or chronic condition, contact Inhale MD at (617) 861-8519 today.